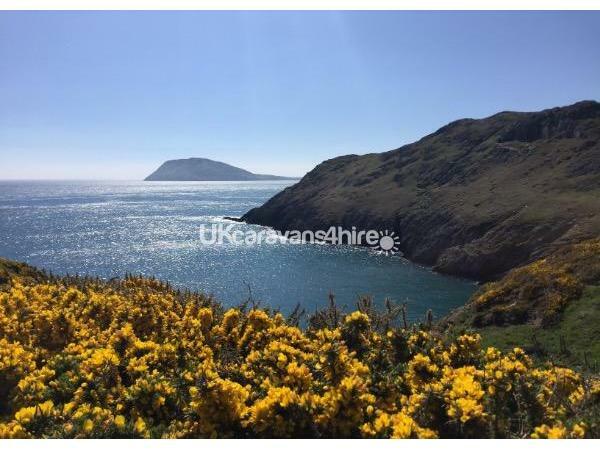 A warm Welsh welcome awaits you to the Llyn peninsula in North Wales The static is situated in a private, peaceful corner on our family farm, in an area of outstanding natural beauty.. 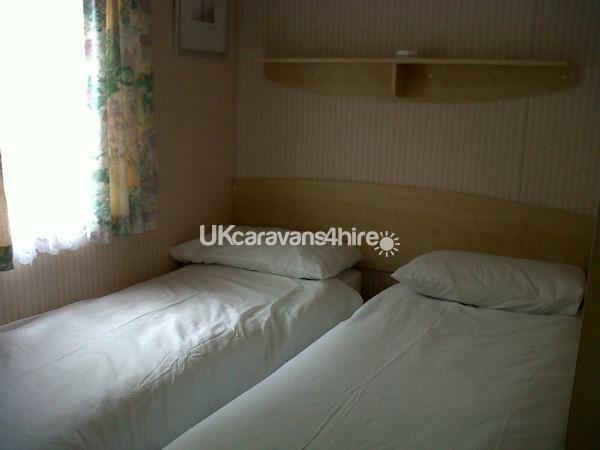 The static caravan has three bedrooms - 1 double, and two twin bedded. 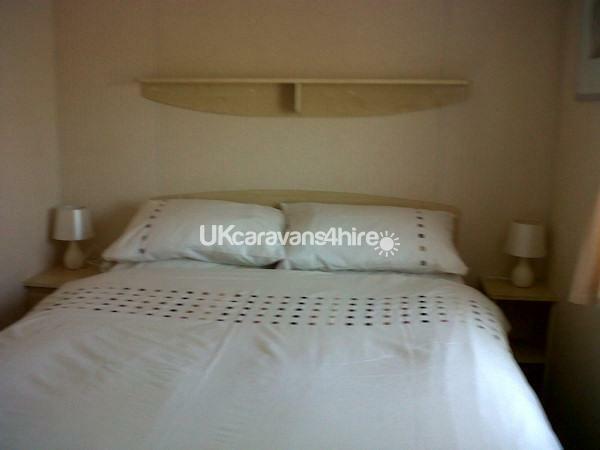 It is fully equipped, spacious and clean with beds made up as required. Your car can be safely parked on the yard. 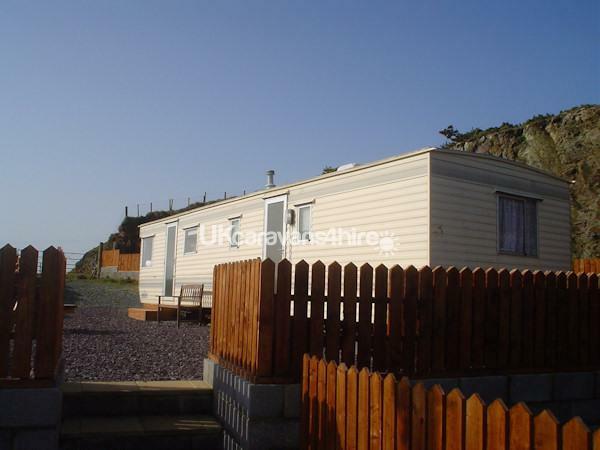 Aberdaron village is 1.5 miles away with its beach, few shops, cafes, post office and two pubs which serves good food. Whistling sands beach and Hells Mouth for surfing is not far away. There are many fishing coves scattered around, and the coastal walks prove very popular as the coastal path is only a few hundred yards away. Boat trips to Bardsey Island can be arranged, weather permitting. 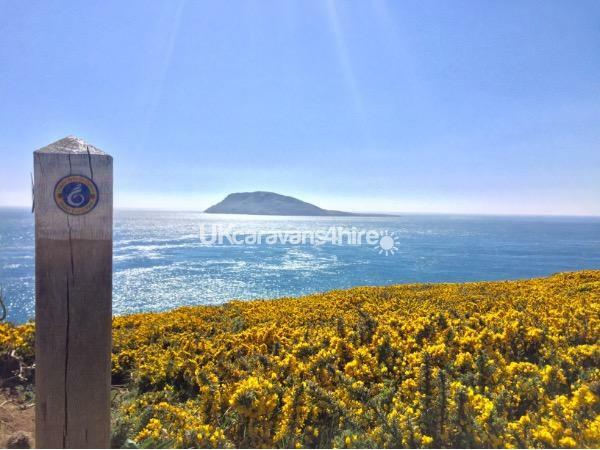 The headland is a stone throw away, which overlooks the island, the point is the "lands end of wales". Wicklow mountains, Ireland can be seen on the horizon on a clear day and Cardigan Bay. The sunsets are amazing. Abersoch village very popular with the youngsters is 12 miles away. Snowdonia, Portmeirion are a must to visit. If you are looking for a relaxing break, away from it all and appreciate the countryside, then this is the site for you.